These new T-Wolves jerseys don’t look great. The designs for one of the Timberwolves’ new uniforms appears to have leaked online ahead of an official announcement. The NBA is moving to Nike uniforms for this upcoming season and several teams have already revealed their new designs. 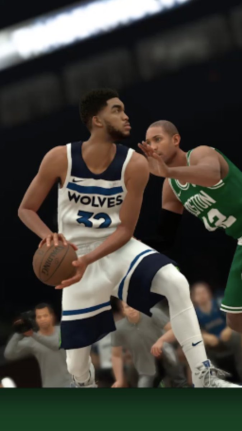 The T-Wolves haven’t released their new duds yet but one sharp-eyed Reddit user spotted Karl-Anthony Towns wearing them in NBA 2K18. If you needed further evidence, Andrew Wiggins posted a photo on Instagram where he appears to be wearing the very same shorts Towns is in the screenshot above. The shorts on their own aren’t so bad but let’s hope the jerseys look different when they get announced for real. The blue stripe really doesn’t work as well on the shoulders as it does down by the knees. UPDATE: On Thursday, the Wolves officially released these uniforms. We still don’t like them.